Lee Ritenour on stage during the 2014 Crown Guitar Festival. Montana Folk Festival Crowd, 2014. Summer is prime-time for music festivals, and there are plenty to choose from in Montana. These 10 Montana music festivals will keep you singing and tapping your feet all summer. Montana Public Radio is proud to be a media co-sponsor for many of these summer music festivals. You may even see us on stage at some of them. 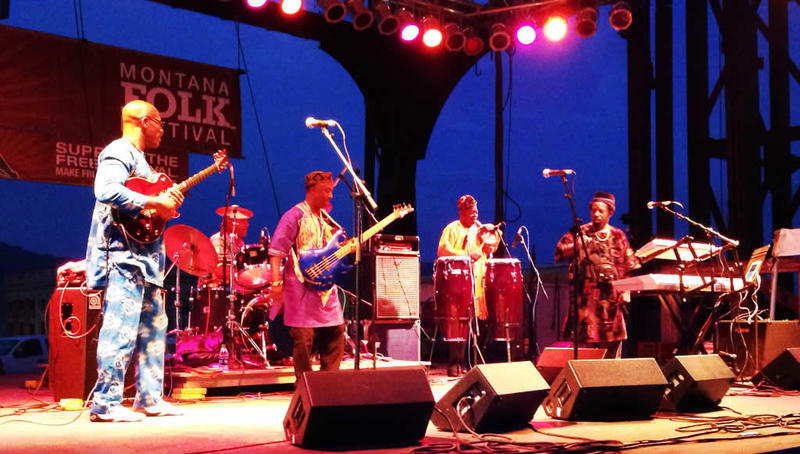 The Montana Folk Festival is one of the Northwest's biggest free folk festivals, with multiple stages and continuous live performances by some of the best traditional performers in the nation. 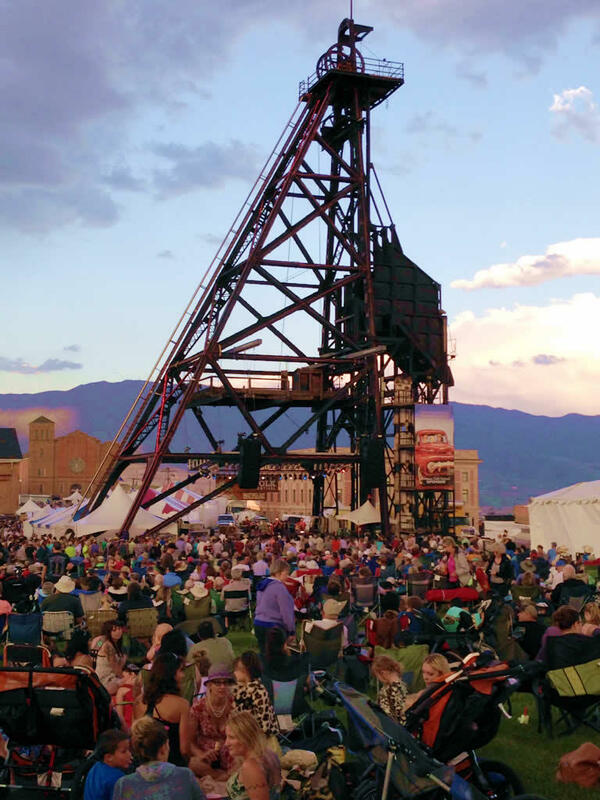 This year's festival takes place July 10 - 12 in Butte, Montana. Montana Baroque Music Festival July 21 - 23 at Quinns Hot Springs in Paradise, Montana. Set in the idyllic Clark Fork River Valley, steps from the Clark Fork River, the Montana Baroque Music Festival presents three exciting concerts each summer. For the festival's 12th year, the theme will be Baroque and Beyond, and will showcase the music of Bach and his many sons, who diverted from their father's style quite dramatically. This will be three spectacular nights of thrilling baroque performances. Mozart and Friends: Champagne for the ears! : Music of Haydn, Mozart, and Devienne, a French contemporary. Joyous,delightful concertos and chamber music from this Rococo period! The Hardtimes Bluegrass Festival is in it's 7th year. This festival has a "old timey mountain feel" and features traditional bluegrass music. The festival is an affordable, family friendly gathering in a beautiful setting, that is geared towards having good clean fun while celebrating the sounds of traditional bluegrass music. The festival runs from July 24-26 in Hamilton, MT. See the full Hardtimes Bluegrass Festival schedule here. Festival Amadeus, presented by Glacier Symphony and Chorale, takes place from August 3 - 9 at venues around the Flathead Valley. John Zoltek, Music Director and Conductor of Festival Amadeus has planned another spectacular week of music that will feature highly accomplished guest soloists bringing them together in three chamber concerts and four orchestra concerts. See the full Festival Amadeus schedule here. Talented Young Trumpeter Kicks Off 2015 St. Timothy's Summer Music Festival. 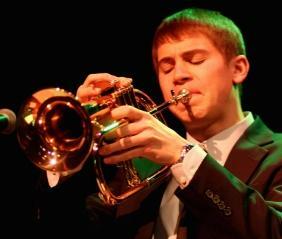 Luca Rodoni, a 17-year-old trumpeter from Bozeman, MT will be kicking off the St. Timothy's Summer Music Festival on June, 28 along with performers Craig Hall and Bob Nell. Luca spoke with Michael Marsolek about his musical background and his upcoming show. 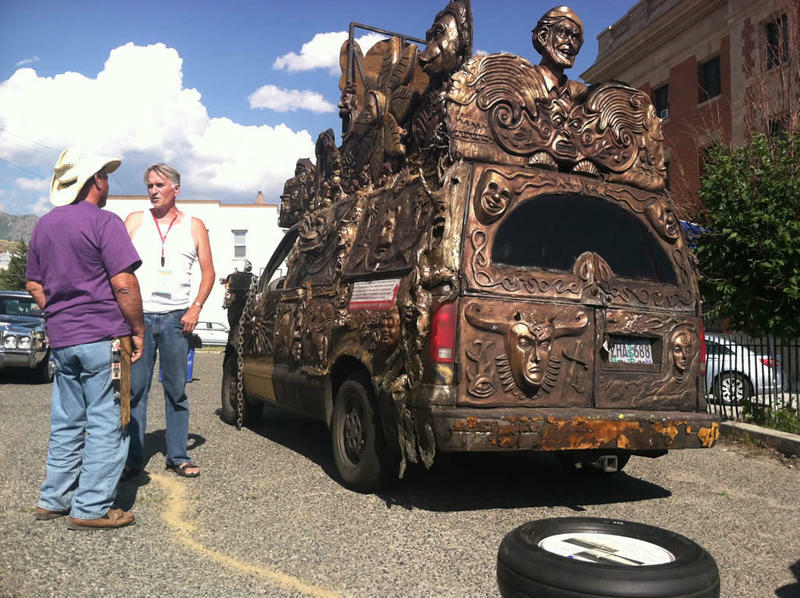 A record 175,000 thousand people from all over the world traveled to Butte for the Montana Folk Festival in 2014. In its fourth year, the 'Richest Hill on Earth' not only hosted a slew of internationally renowned musicians and visual artists, but unfurled its "Culture of the Car" celebration, demonstrating that folk art thrives everywhere. On the stage, the canvas, even the hood of a station wagon. The 2015 Montana Folk Festival starts on July 10. To tide you over until this weekend, here's a great recap and slideshow about the musicians and the crazy art cars on display at last year's festival. The 2015 Montana Folk Festival starts on July 10. Until then, enjoy these photos from last year's festival, and tell us who you're excited to see this year. Lee Ritenour and Friends played at the Flathead Lake Lodge in Bigfork on Wednesday. Two opening acts, 16 year-old Josh Achrion, and the John Beasley Circle, warmed up the nearly sold-out crowd under the big white tent. Guitarists John Oates and Mike Stern joined Ritenour on stage during the encore. 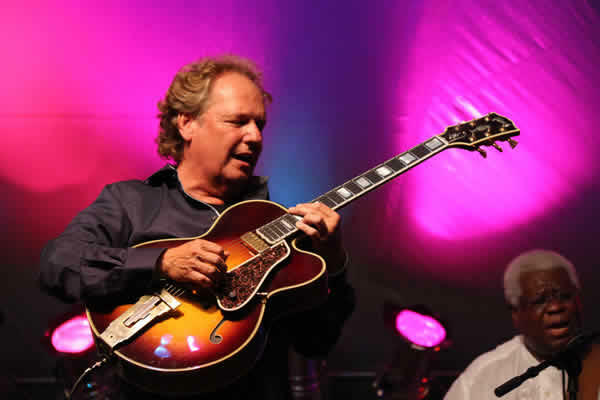 We'll be replaying the Lee Ritenour and Friends show tonight at 7:30 p.m. Tune in on the air or online, and be sure to check out our photos from the show. When you talk with the artists, guitar instructors, and organizers of the Crown Guitar Festival in Bigfork, Mont., there’s one subject that comes up again and again: the maturity and skill of the young scholarship students who travel from across the country to learn from the greats. At 16 years-old, Solomon Hicks is already a veteran of Harlem's famed Cotton Club. 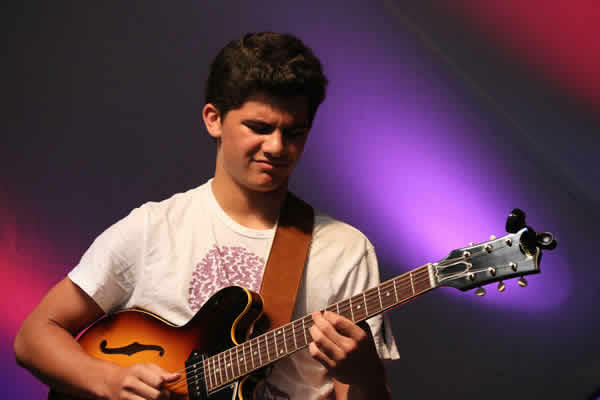 Since age 13, this musical prodigy has been the lead guitarist with the "Cotton Club All Stars." Solomon excels in Jazz, Blues, Classical, Gospel, R&B, Funk and classic Rock. In the 10 years he's been playing music, Solomon has put together an impressive resume. In our Clip of the Week, Solomon Hicks explains how hard work and practice helped him win over skeptics who didn't think a youngster like him could hang with more experienced musicians.